At one of the most beautiful spots in Pula, Monte Zaro Park, you will find the Pula Observatory which offers not only the great view of the sky and stars but also of the town centre and the Pula Bay. 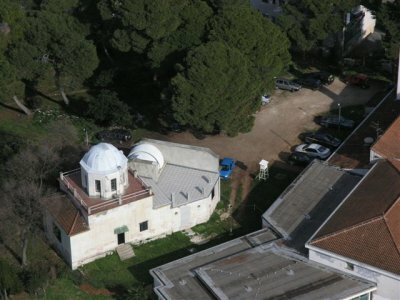 The Pula Observatory was founded as early as 1869 as a part of the Imperial and Royal Hydrographic Institute of the Navy (K. und K. Hidrographisches Amt) and is the oldest observatory in Croatia from which 28 planetoids were discovered, three of which were named “Polana”, “Adria” and “Istria”. You can take a look at the sky above Pula if you call 091/533 0 304. We were told by the astronomers that the best time to look at the stars is in the evening.